Did you know that, on average, a person in the U.S. dies every 50 minutes in a vehicular accident that involves alcohol? This statistic goes to show us that too many lives are being cut short due to people getting behind the wheel while under the influence. It’s time to make a change, and December 2017 has now been deemed by Donald Trump as National Impaired Driving Prevention Month. This month is meant to increase the public’s awareness about the fact that it is our choices that lead to drunk-driving accidents. It’s time we start making better choices and it starts with taking Comedy Defensive Driving. There have been tireless efforts directed toward reducing impaired driving accidents over the past several decades. And even though for many years these efforts have proved to be of value, 2017 has proven itself to be a year in which these efforts are rendering useless. In fact, 2017 is the second year in a row that the nation has seen an increase in fatalities that are directly related to alcohol impairment. Last year, 28 percent of traffic fatalities were contributed to alcohol-impaired crashes and this percentage has since increased. It’s time that we reverse this trend before it gets worse. It is crucial to understand that alcohol-impaired driving affects all Americans. It was in 2012 that more than four million American adults stated they had driven at least once within the past 30 days while under the influence of alcohol. 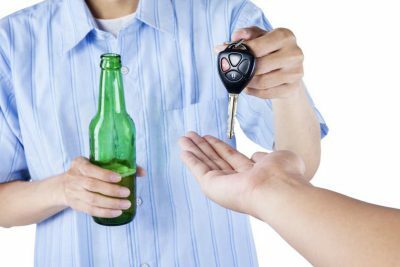 Some people think that having just one drink will not impair the judgment, but truth is, it can dramatically change the lives of many, including those who are driving while impaired, their passengers, their loved ones, and innocent bystanders. It was also during the proclamation of December 2017 as National Impaired Driving Prevention Month that Trump stated he felt that the responsibility to eliminate impaired driving lies within the hands and hearts of all Americans. By taking precautions to ensure impaired driving is reduced, we are showing one another that we truly care about each other. This is why it is so important to keep our friends, family, and loved ones from getting behind the wheel of a vehicle if they are impaired by alcohol. How does Trump suggest that we start this mission to prevent impaired driving? He says it starts by educating ourselves and those around us about the facts of drunk driving. And this education needs to start in our schools, community organizations, and churches. When we come together, we can reduce deaths and eliminate this problem that has been going on for far too long. 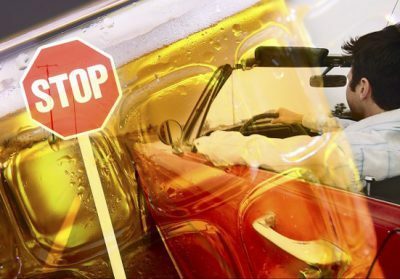 Are you doing your part to help prevent drunk driving? Contact your local schools and community organizations to see how your efforts can go a long way in preventing impaired-driving deaths. Also, make sure you take advantage of a defensive driving course that can teach you about staying safe while traveling.